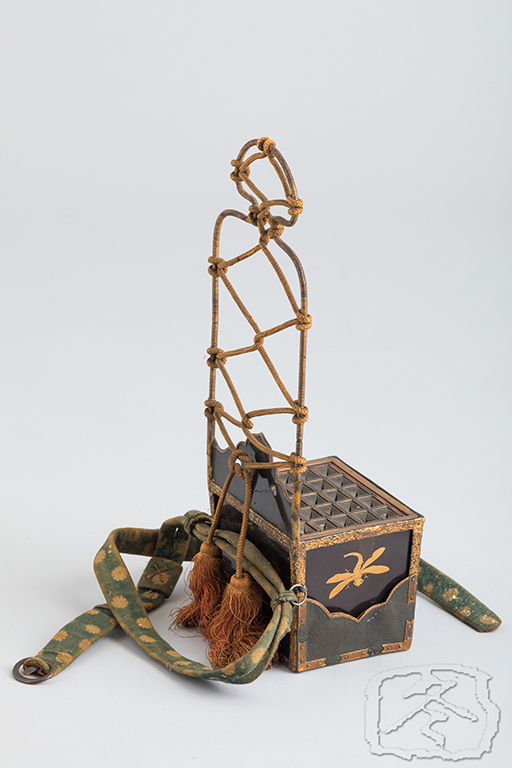 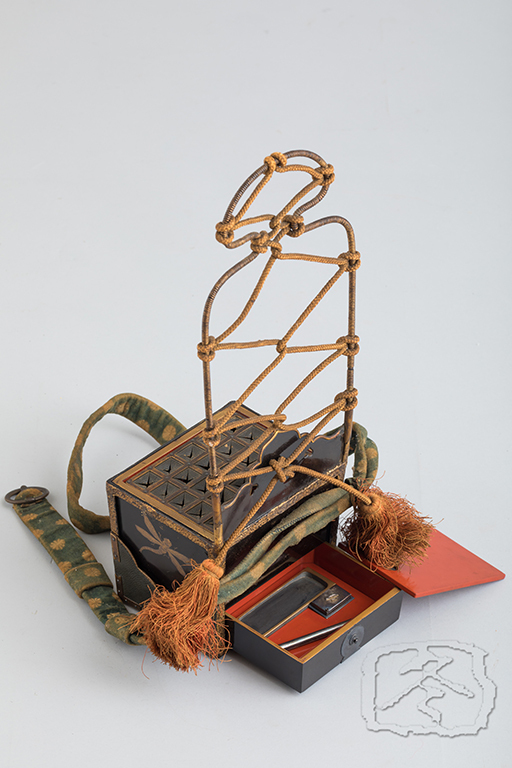 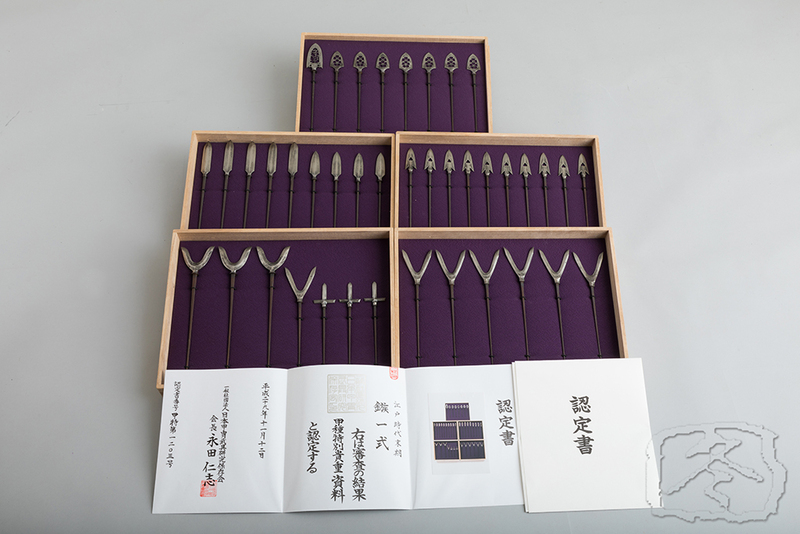 This black lacquered ‘ebira’ (open quiver) is decorated with ‘hira maki-e’ lacquer technique of dragonflies on each side. 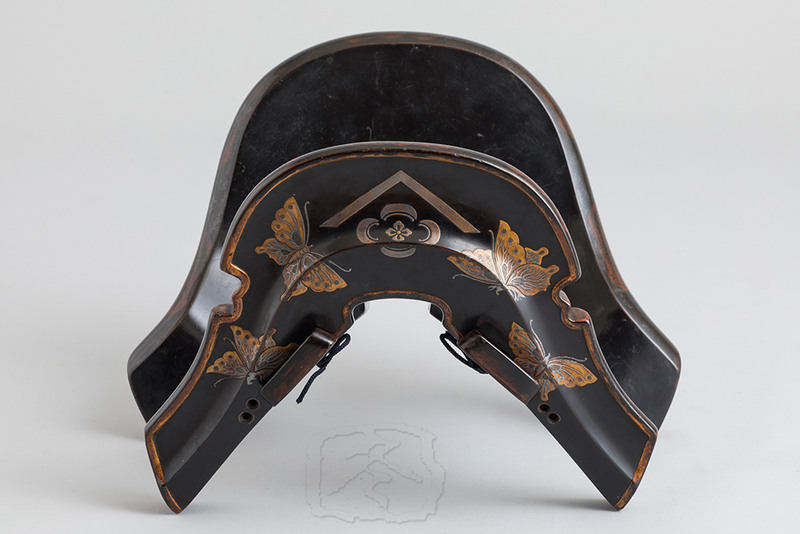 The front bears the heraldry of the Oda clan. 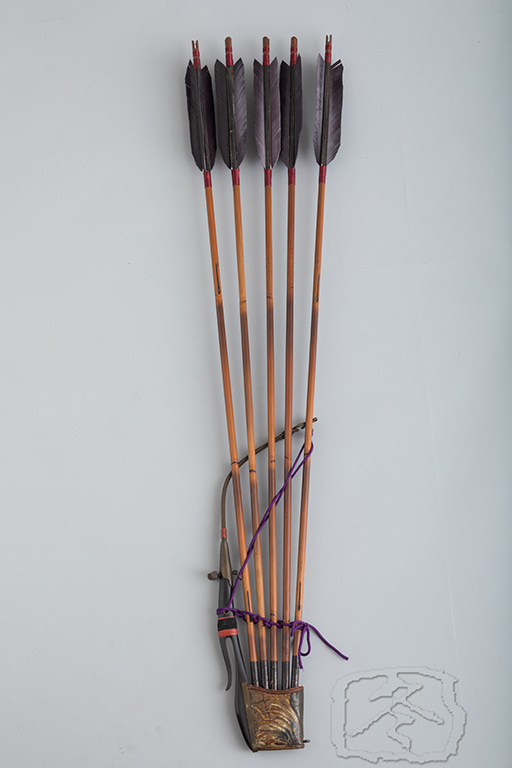 The top of the box of the quiver is unusual in that it has a removable rack to separate each arrow in its own compartment, each with leather flaps to stabilize the arrows and to keep out rain. 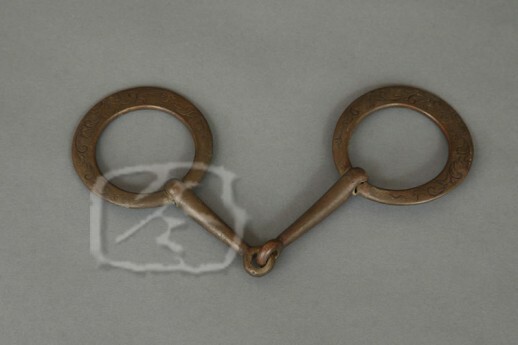 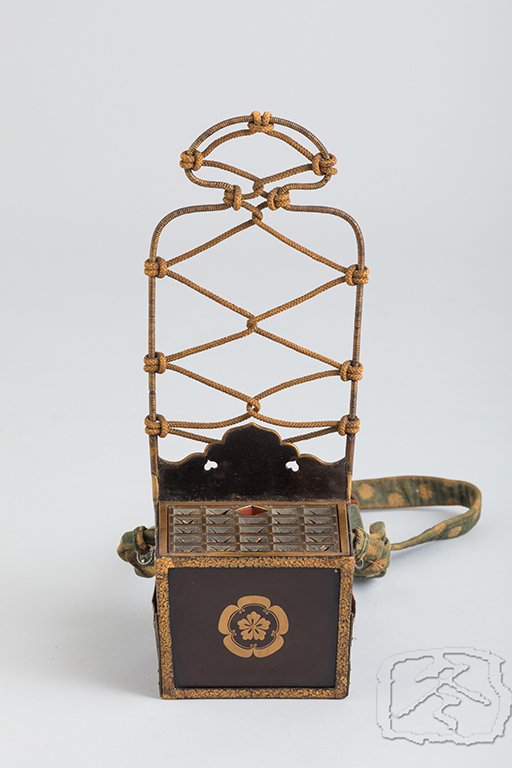 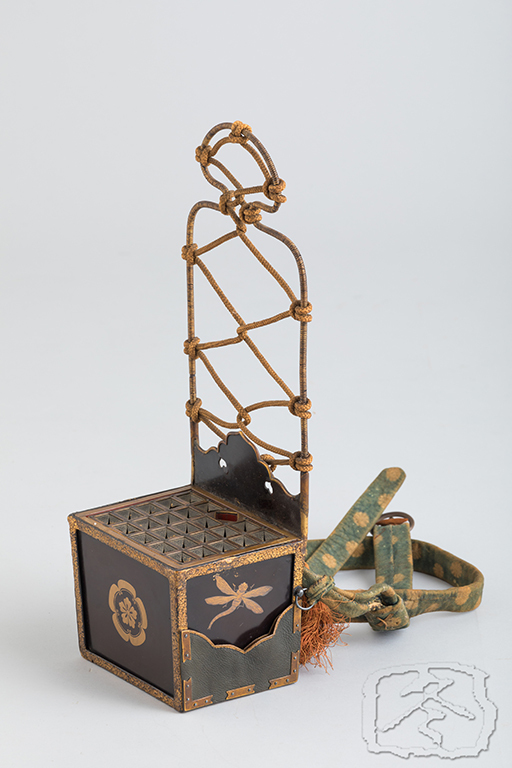 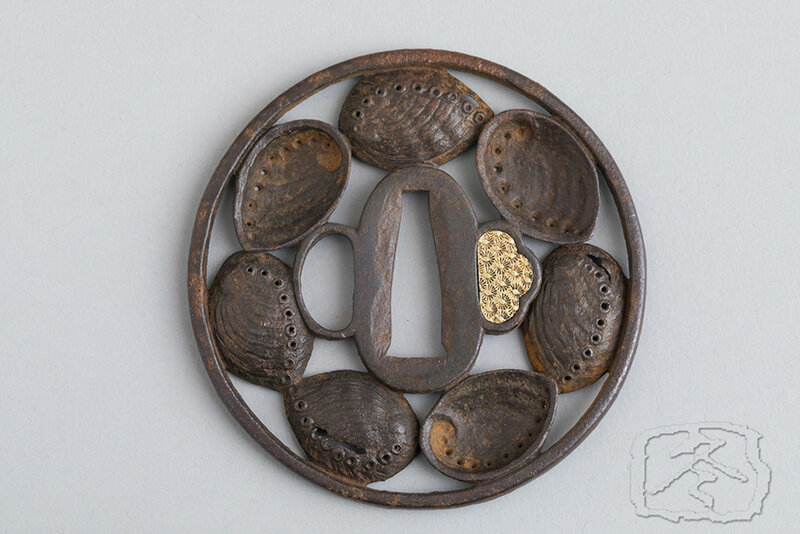 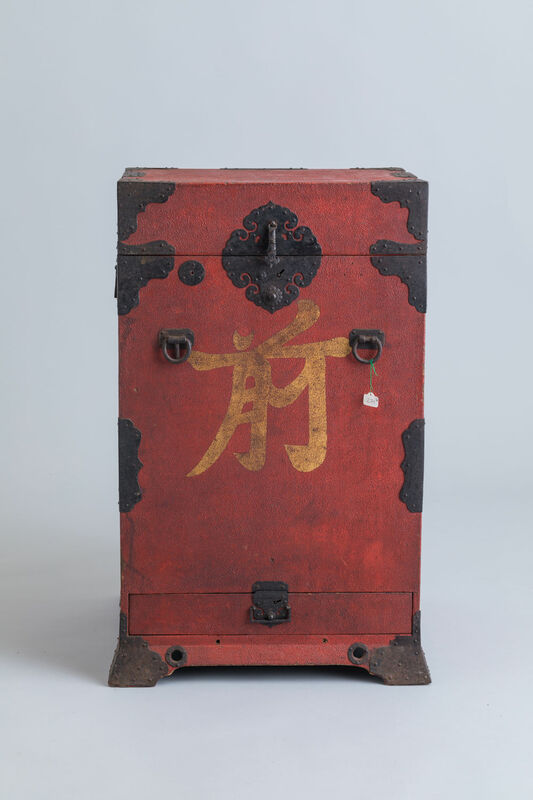 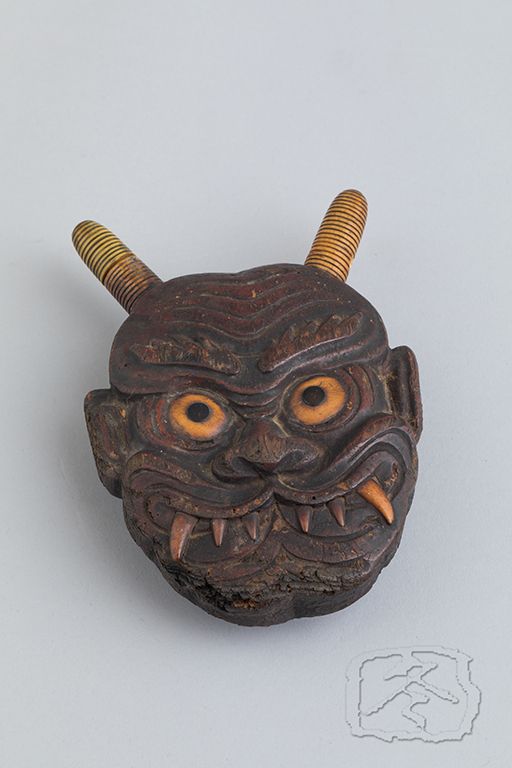 The reverse of the ‘ebira’ has a small drawer in which an ink stone and small brush are housed for writing orders in the field. 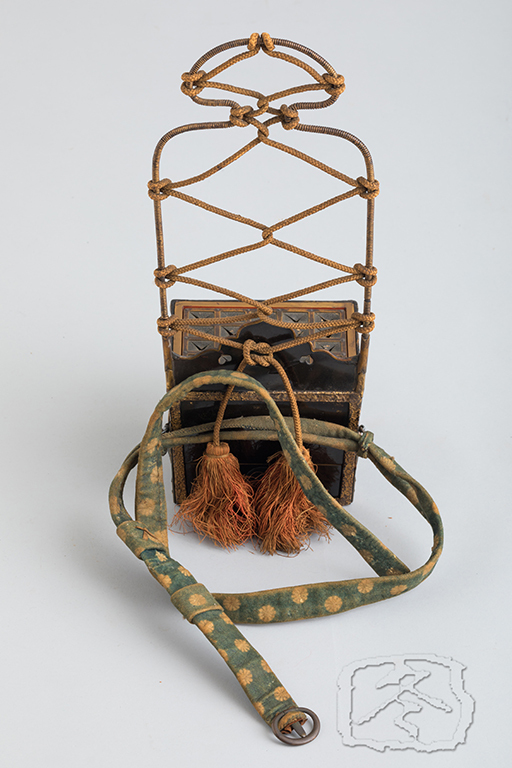 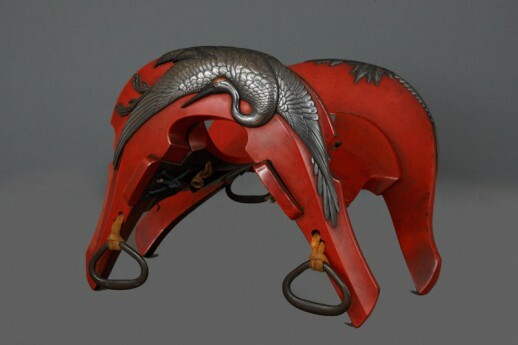 This quiver is also fitted with a very rare waist belt made of stenciled does skin. 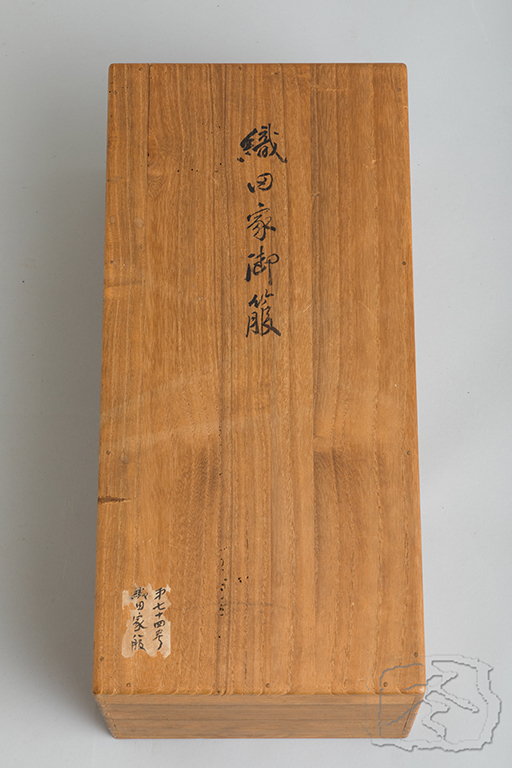 With fitted, old paulownia wood storage box.